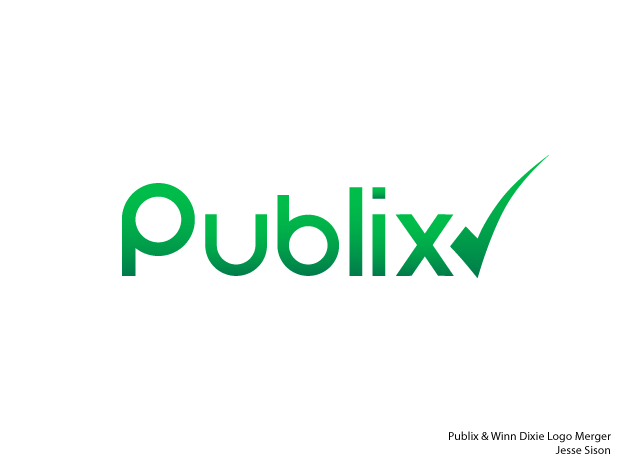 What if Publix and Winn-Dixie merged? Since Winn-Dixie’s “fresh checked everyday” marketing has become so strong, my prediction would be dropping the Winn-Dixie name and keeping the ‘check’ in the brandmark. What are your thoughts?